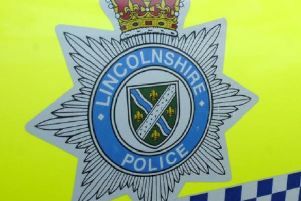 A 24-year-old Louth woman, who assaulted a Mablethorpe supermarket manager, has told magistrates she has a ‘short fuse’. Alexandra Jade Wright of Keddington Crescent admitted assaulting Ursula Lawrence by beating her, when she appeared at Skegness Magistrates’ Court. Prosecuting, Daniel Pietryka told the court that on February 2, Ms Lawrence, who was the Lidl store manager in Mablethorpe, had been paying particular attention to Wright because she had filled a trolley with groceries and then just left it and gone out of the store. He said that because there were concerns that Wright might be planning on stealing the goods, Ms Lawrence went outside the store to see what Wright was doing. He said that she saw her get into the passenger seat of a car but when the car came up alongside her, Wright got out, spoke a few words to her and then punched her above her eye. Mr Pietryka said there was a small scuffle and a further punch was given before Wright was pulled back by anther woman who was the driver of the car, and they then left the scene. He said police traced the car through its number plate and Wright was interviewed. She told officers that she had gone shopping with a friend and had realised she had forgotten her purse and so abandoned the trolley. She told the police that as she was leaving the car park she saw Ms Lawrence writing down the number of the car and stopped and in the argument that followed, she had punched her and there had been a scuffle. Mr Pietryka said Wright admitted to the officers that her reaction had been ‘disproportionate’. Wright, who was not represented, told the magistrates that she had a ‘very short fuse’ and that when Ms Lawrence told her she had taken down her number and she thought she might be going to steal from the store, she ‘reacted as I did because of being accused of something I hadn’t done’. She told them that she intended to write to Ms Lawrence and apologise. The magistrates imposed a 12 month conditional discharge and ordered Wright to pay £200 compensation to Ms Lawrence as well as £40 towards prosecution costs and a £15 victim surcharge.